Today only, Best Buy via eBay offers the Gourmia 6-Quart Pressure Cooker for $79.99 with free shipping. That's $20 under last month's mention and the lowest price we could find by $40 today. It features a cool-touch exterior, LCD display, and adjustable pressure from 1.5 to 12-PSI. Today only, That Daily Deal offers the Reebok Men's Drawstring Performance Shorts for $6.49 with free shipping. That's tied with our expired mention from a month ago as the lowest price we've seen. (It's the best deal now by $9.) They're available in sizes L to XXL. Note: Color is selected at random. Today only, B&H Photo Video offers the Jill-E Designs Smartphone Clutch in Berry or Black for $25 with free shipping. That's $75 off and the lowest price we could find. It has several pockets, zipper closure, and a removable RFID pouch. Dockers takes an extra 50% off sale items via coupon code "HIGHFIVE". That's the best extra discount we've seen on sale items from Dockers this year. Shipping adds $7.50, but orders of $75 or more qualify for free shipping. Some exclusions apply. Insurance can cost more than $20,000 over a dog's lifetime, but it can also ease the financial burden if your pet gets seriously sick or injured. While it's fun to pick up a new chew toy or a pack of treats, we don't always include veterinarian visits in our budgets — especially a big bill for an emergency or illness. "We spend a lot of money on our pets when we're not thinking about it," says Kristen Lynch, executive director of the North American Pet Health Insurance Association. "But we don't really take into account that there are these ongoing costs: you're going to have to get them vaccinated, you're going to have at least a little bit of a contingency for surprises." SEE ALSO: How Much Does It Cost to Adopt a Pet? To cover these bills, some pet owners choose to buy insurance from one of about a dozen or so pet health insurance providers. The number of insured pets increased 16.8% across North America from 2016 to 2017, according to the 2018 NAPHIA State of the Industry Report. Last year, the U.S. had approximately 1.5 million insured dogs and a quarter of a million insured cats. Below are some questions to ask to see if pet insurance is right for you, as well as tips for finding the right plan. The cost of insuring a pet can add up with monthly premiums and deductibles. According to a comprehensive Consumers' Checkbook study of 1,800 quotes and nine leading insurers, the cost for a fictitious, medium-size male mixed-breed dog, Woof, over an almost 13-year lifetime ranged from $4,700 to nearly $22,200 for premiums alone, not including copays and deductibles. Given the overall costs, pet insurance might not make sense for all pets. Out-of-pocket expenses for the Consumers' Checkbook example were about $2,400 to $14,600 higher with pet insurance. The average monthly cost for pet insurance is around $45 for dogs and $28 for cats. According to an analysis by ValuePenguin, "in most cases, paying for treatment out of pocket for the most common dog and cat conditions is less expensive than the annual cost of insurance." However, that's not taking into account large issues like surgeries, cancer treatments, or fractures. When you're facing a vet bill for hundreds — or even thousands — of dollars, pet insurance can make for more manageable increments, considering the average monthly cost for pet insurance is around $45 for dogs and $28 for cats, for both accident and illness coverage. When it comes to pets, the human-animal bond has become closer, Lynch says. "Our relationship with our pets [has] changed. ... I think that with that change comes the need to be able to ensure to yourself and your family that you can do what you need to do when something happens to your pet." 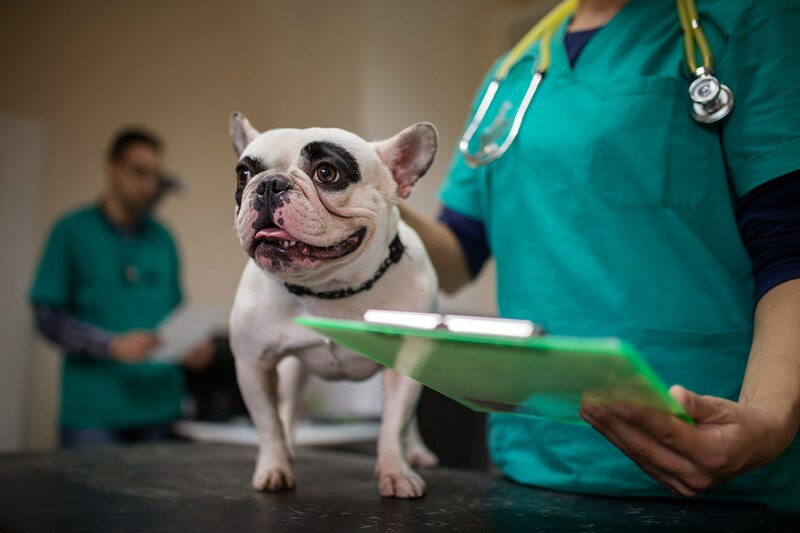 Surprisingly, a study conducted by analyst John Volk on behalf of NAPHIA found pet owners don't mainly get pet insurance to minimize the risk of a major vet bill, but buy it more for emotional reasons. 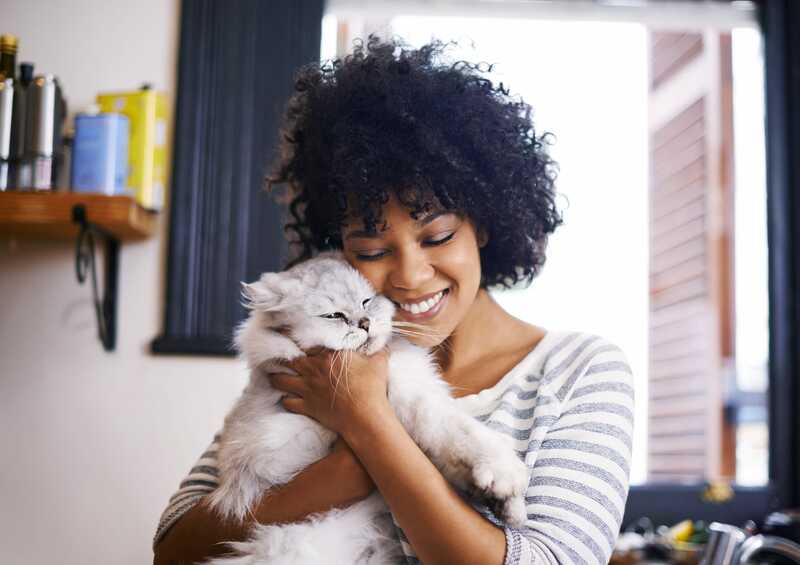 Fifty-nine percent of respondents said they believe pet health insurance is helpful to them, 55% said they believe it shows they love their pet, 53% said it shows they're a responsible pet owner, and 49% said it provides peace of mind. "We know pets are living longer lives, they are a more important part of our life, and so they're top of mind in a way they never were before," Lynch says. 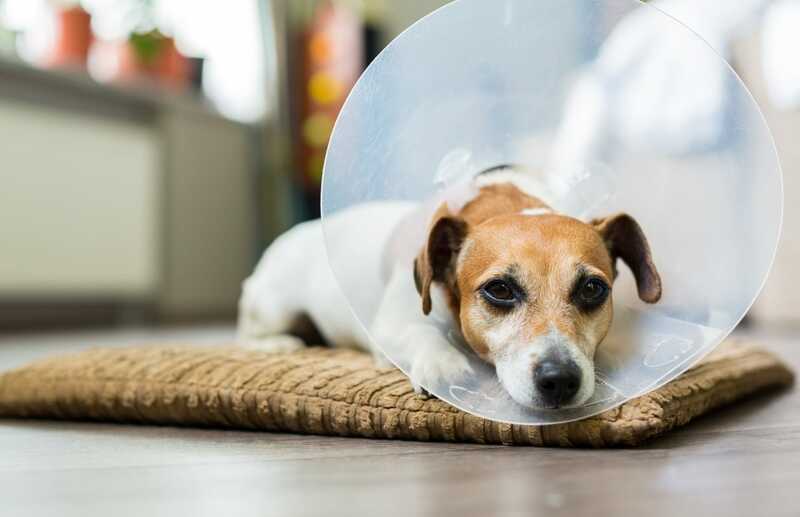 According to Volk's NAPHIA survey, 42% of respondents said they believe pet insurance helps avoid having to make painful decisions about withholding care. "As a practicing veterinarian, I see pet owners who simply cannot afford the care needed to properly diagnose and treat their pet's medical condition," says Doug Kenney, D.V.M., a veterinarian in Cordova, TN, and author of Pet Health Insurance: A Veterinarian's Perspective. Many pet owners have to opt for limited diagnostics or treatment for financial reasons, which leads to a temporary improvement "but doesn't solve the problem for the long term, leading to frustration for the veterinarian and the pet owner," he says. Rising vet bills may be partially responsible for the higher number of insured pets. According to the American Veterinary Medical Association, vet care costs increase as the field gets more technologically advanced. So while the advancements are good news if your pet needs medical tests and treatments, they're often bad news for your wallet. Training, facilities, and equipment for these services have higher costs, and pet insurance can offset some of the costs and help with anxiety (yours, not your pet's). Not only has our relationship with pets changed — so has our relationship with money. "People don't save," Lynch says. Instead of annual budgets, people often think in terms of monthly budgets, she adds. "I think pet insurance is a good fit for people, because they're able to plan around what they've got versus the big surprise when they don't have it." If saving money is difficult, Kenney says, having insurance can be a good idea. What Should You Do Before You Buy? Your vet might work with some health insurance companies or have recommendations — but that doesn't mean you can skip doing your own research. Lynch suggests talking to the vet about health risks your pets may be prone to. "Develop that laundry list of things that you think you need and you feel you want to protect for and what will reassure you, and then build your coverage around that," she says. SEE ALSO: Do You Need Personal Legal Insurance? Pet insurance policies don't cover pre-existing conditions. "It operates like human health care, but it's underwritten, and that's by regulation, as property," Lynch says. "So the law views pets that way and it looks at risks that way." For this reason, you may want to insure your pets as puppies or kittens, before health problems develop. In some cases, conditions diagnosed within one year can be excluded as pre-existing conditions the next, so check the policy before you buy. It may be worth getting insurance for pets starting when they're young because they're more accident-prone, Lynch notes. Just because an animal is young also doesn't mean it won't get sick, she adds. Even if you buy insurance early, premiums go up when you have an older pet. See how much they increase as your pet ages. Some breeds are prone to certain diseases or health issues, and it's a topic pet owners don't often think about when considering health insurance. "Cats are a little bit more universally shaped and their conditions tend to be a little bit more similar than across the wide range of multiple breeds of dogs, but you should really be talking to your vet and saying, 'OK, what are some of the common things that this breed can have happen?'" Lynch says. If you know ahead of time, for instance, that your dog could be prone to Cushing's disease, you can calculate what that might cost you. Also keep in mind that common health problems of certain breeds may not be covered by some plans, so be sure to check your policy. Types of coverage vary, but accident-only insurance — which deals with issues like ingestion of foreign objects, car accidents, and lacerations — covers only 2% of insured pets, according to the 2018 NAPHIA report. The remaining 98% of insured pets have accident and illness insurance (which includes cancer, infections, and digestive problems) or insurance with embedded wellness, which are comprehensive plans that can include vaccinations, dental care, and early screenings. When looking at costs, considering the deductible amount is obviously important. Some plans allow you to adjust the deductible from year to year, while others offer a lifetime per condition deductible. Increasing your deductible or the reimbursement percentage could decrease your premium and insurance costs. Sometimes you can get a discount if you have more than one pet covered. "A lot of people don't realize that where you live affects the cost of coverage and it also impacts the kind of coverage you can have," Lynch says. "Most people today when they call their pet insurance company for a quote or when they get a quote online, you'll note that it asks you for your ZIP code, and that's because [of] the cost of treating that pet. ... Like if I live in New York versus Idaho, those factors are built into the premium when you get a quote. "But what you also don't see is different states allow or require certain kinds of coverage or certain benefits or certain policy requirements that other states don't have, so you're only getting the ones that are relevant to you," she adds. Depending on your location, trial pet insurance might be available, often for 30 days. Of the dozen or so pet insurance companies in the U.S., each has different policies with their own pros and cons. "There is no one-size-fits-all plan," Kenney says. "It comes down to finding the company and policy that best fits your pet's needs and your budget." Your pet's age, breed, and location can all impact the cost and availability of coverage. ConsumersAdvocate.org has a chart of the best pet insurance options for 2019, and dvm360 also offers a chart for comparing pet insurance companies and plans. "It sounds daunting to pick a company from a dozen or more all offering different policies, but it is easier than one would think," Kenney says. "As you are doing the research, based on certain criteria, they weed themselves out as you proceed with each step." In the case of most pet insurance policies, the pet owner pays the bill upfront, and then submits the bill to the pet insurance company for reimbursement. Some veterinary clinics will submit the claim to the insurance company for you. In the case of at least one plan, the claim is preapproved within minutes, and the pet owner pays a 10% copay. Kenney recommends reading a sample policy before buying pet insurance, and reading the policy after enrolling. Then review the policy annually. "Every year after signing up for pet insurance, about a month before it's time to renew, the insurance company will send you a renewal notice with any changes in the policy and/or premium," Kenney says. "This is an excellent time to do your own annual policy checkup to see if there are any changes you need to make that will maximize the benefits you get from the policy." What's one of the main differences between your health insurance and your pet's? "If I could sum it up in one word, it would be: networks," Kenney says. "In human medicine, doctors and hospitals join networks that [supply] them with a stream of patients in exchange for discounting their fees." Sometimes, a doctor or hospital isn't in the insurance plan's network, or the insurance won't pay for a recommended treatment. With pets it's different. "Pet owners with insurance can take their pet to any veterinarian, emergency clinic, or specialty hospital," Kenney says. "The insurance company will pay for covered procedures and treatments up to what the veterinarian/hospital charges. ... While some pet insurance policies won't cover certain procedures, you can almost always find a company that will cover them. That's why it's important to do the research to find the best fit for your coverage preferences." Some pet owners put away a monthly amount into savings as an emergency fund for their pets. Just remember if a problem happens early on, you might not yet have enough to cover a large surprise bill. Some pet owners put away a monthly amount into savings as an emergency fund for their pets. "Having a separate account (savings/debit) for your pet's health care expenses is a great idea, but not instead of pet insurance," Kenney says. A chapter in Kenney's book explains how a pet insurance policy can bridge the gap until you have enough savings to pay for an expensive accident or illness. Pet Assure is a network discount plan in which pet owners pay a fee, then receive a discount on certain services. Keep in mind, however, that "because it requires participating veterinarians to discount their fees, the number of veterinarians in the plan's network is limited," Kenney says. Ask your vet if they offer payment plans for services. While crowdfunding isn't a good plan A, for those pet owners with a vet bill too big to handle and who may have to consider economic euthanasia, there's Waggle. This pet-dedicated crowdfunding platform partners directly with veterinarians to ensure donations go to the animal's care. Campaigns can be started either by Waggle's veterinary partners, rescue groups or shelters, or pet owners. Success stories include a cat in need of dental care, a puppy needing surgery, and a diabetic cat. For many animal owners, pet insurance isn't a worthwhile investment in the financial sense. According to data from Consumers' Checkbook and ValuePenguin, premiums can increase dramatically as a pet ages, and pet insurance often costs more in the long run. SEE ALSO: Do You Need to Buy Flood Insurance? However, pet insurance proponents say it can offer a way to budget and to know you'll have enough to care for a sick or injured pet. "It's about having confidence: I know I'm covered, I know I can take care of this, yes there's going to be a deductible and I'm going to have to pay my coinsurance, but I still know it's going to take a big bite out of what it is I have to pay out of pocket," Lynch says. Readers, do you have pet insurance, or would you ever consider buying it? Why or why not? Share your thoughts in the comments below. 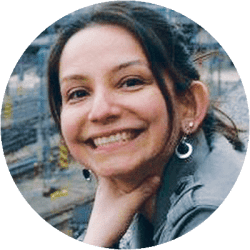 Josie Rubio is a Brooklyn, New York-based freelance editor and writer. She has visited five continents so far and loves to write about travel, food, nutrition, health... and pretty much everything. Follow her on Twitter at @JosieRubio. Get insurance for your pet when they are young, have less pre-existing conditions. Dont wait until it is needed, understand sometimes you get a pet older with pre-existing conditions, but it is still worth having. They don't cover much (in my experience, almost none), but you are paying monthly premiums to them. Our cat kept getting allergic reactions to something, signed up for Pet Insurance. Nothing was covered due to pre-existing conditions. My coworker signed up for the same plan, nothing covered for her either, waste of money! Guess you need to get it the 1st day you get a pet for it to work? Had it for my dog all his life. Paid for itself multiple times over. He got the best care in the country when he had surgery to remove cancer in his chest in 2014 and paid for chemo during this last bout in Nov when he passed away. We used Petplan, never had an issue with a claim (and there were many). As the article said, best to get them enrolled while theyre young, my guy was a rescue and still insurable. BTW, Banfield is not an insurance program, they provide regular routine checkups and vaccinations, they do not cover major things, at all. I believe a dog is part of the family and try to reasonably provide the best medical care I can afford, pet insurance was key, I recommend it to everyone.